Our four girls provide us with plenty of eggs, garden fertilizer and fun in exchange for kitchen food scraps and garden leftovers. Beekeeping took us to another dimension of life. 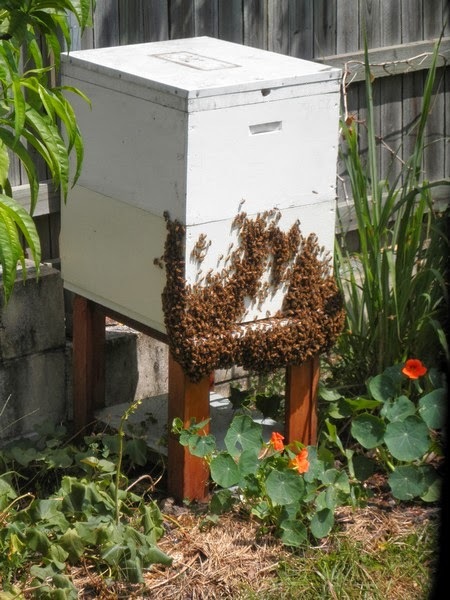 Beehive is the most efficient system in the garden. Around 50 thousand bees work day/night to provide pollination, honey, pollen, royal gelly and propollis. Last year we harvested from one hive 160kg of honey. Having worm farm is a great thing which we never though of. Our fruit and vegi scraps provide enough food for worms in three farms (two styrofoam boxes and one commercial rounded one). Worms convert scraps into hummus and worm juice which is brilliant fertilize for plants, loaded with nutrition and food for plants.